If you are planning a visit to the scenic village of Badachro, Gordon and Vanessa Quinn, founders of Badachro Gin would love to welcome you on “a visitor experience unlike any you have tasted before”. 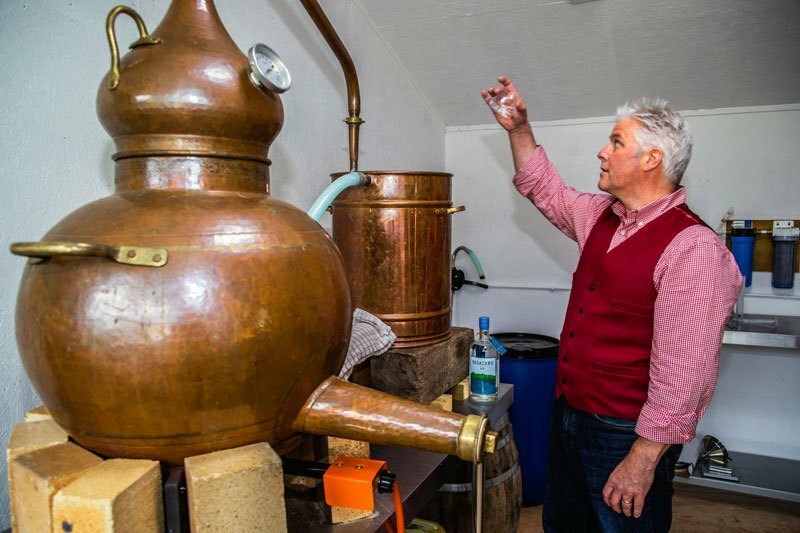 Their newly-launched gin experience allows visitors to get up close to the still, the distiller and the workings of Badachro Distillery in this genuine and intimate introduction to their artisan work. This is no ordinary distillery tour. With a maximum of six visitors, the experience is personal and immersive. The intimate tour is led by distiller and owners Gordon and Vanessa, so you can be sure of a true Badachro welcome. The experience begins with an explanation of all things Badachro & Gin (in their gorgeous Wintergarden), followed by a visit to the actual distillery, to meet Delilah (the still) and learn about the full production process. Then it’s back to the Wintergarden for the all-important tasting of the gin and a chance to ask Gordon and Vanessa any burning questions. The experience lasts around an hour and dates are available from May to September this year on Monday and Thursday from 2pm. At just £12.50 a head, this is an experience not to be missed for gin lovers! To book your place on the Badachro distillery tour click here.